Take in a memorable Uluru Sunrise over the World’s Largest Rock. You then have time to complete an Uluru Base Walk around Uluru. You will see beautiful sites such as the Mala Walk, Mutijulu Waterhole and Aboriginal Cave Paintings. We stop on the way home for lunch at Erldunda. You will arrive back in Alice Springs at approximately 5:30pm and stay 1 night at the YHA Alice Springs (Dorm Room). Back to civilization, get cleaned up and we meet later for dinner and a couple of beers in an The Rock Bar. 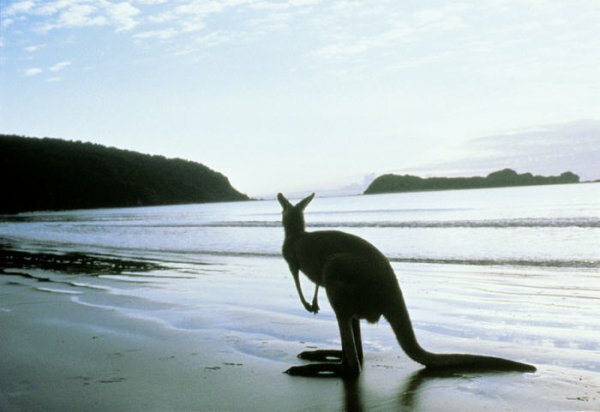 Day 8: Kangaroo Island day 2 to Adelaide (BL) After breakfast get up close to more wildlife at Hanson Bay Wildlife Sanctuary where you will look for koalas nestled up in the eucalypts and see kangaroos grazing on the open fields. Continue onto Flinders Chase National Park where you will marvel at Remarkable Rocks; huge granite boulders sculptured by nature. Enjoy the spectacular coast and seascapes as you head around to Admirals Arch at Cape Du Couedic where we watch the resident Long-nosed Fur Seals frolic in the ocean or sunbake on the rocks. Enjoy a delicious BBQ lunch at the Flinders Chase Visitor Centre.